February 27, 2019 February 27, 2019 by Kate and the KidsLeave a Comment on Check, Please! I met my husband just over 7 years ago. The very first time he took his shirt off, I asked him about a mole on his back. Throughout the years I’ve paid close attention, and I’m glad I did. Today he had a small procedure to have it removed, and we are all breathing a little easier. As of now, the doctor can only call what was taken off a neoplasm (An abnormal mass of tissue that results when cells divide more than they should or do not die when they should. Neoplasms may be benign (not cancer), or malignant (cancer). The dermatology office will send his sample off to pathology to be tested for further details. 1 in 5 Americans will be diagnosed with skin cancer, and there are 63,000 new cases of melanoma reported each year. There’s a 98% survival rate in those who are treated before it spreads to the lymph nodes, so it’s important to perform frequent skin checks and take preventative measures. My sister GLOWING on her wedding day with her tan by Sun Kissed Spray Tans. To prevent skin damage limit your sun time in the sun. You’ll also want to use and SPF 30 or higher, and apply sunscreen at least 30 minutes prior to sun exposure. The sun is most damaging between 10AM and 2PM, so avoid direct sunlight during those hours. Most of all, avoid tanning beds! If you’re local, Linsey Bavin of Sun Kissed Spray Tanning does an AMAZING spray tan. She has countless recommendations, plus my friends, family and I have all had great experiences with her! My sister looked flawless on her wedding day, and the bronze really made her dress POP without causing the worry of sun damage. Spray tanning with a professional like Lindsey is a great alternative to traditional tanning. You’ll also want to keep an eye on any damage that’s already done. Make sure you’re getting your yearly physical exam so your PCP can take a look with professional eyes. Check yourself monthly, and “have your partner’s back” by taking a look at the places your spouse can’t see on themselves. If you see something unusual or changing shape/color make an appointment with your doctor. Remember that if you can spot it, you can stop it. Be on MOLE PATROL, and know your ABC’s. A- asymmetrical (if you draw a line down the middle of the mole, the two halves don’t match. You can keep an eye on these things yourself. To perform a self exam grab a bright light, full length mirror, hand mirror, chair and a blow dryer. -Start with your face and head using the mirror. Check your scalp by using a blow dryer to easily part your hair. -Move down to you hands, arms and armpits. -Use a mirror to focus on neck, chest and torso. -Have a partner check your backside, or face away from a full length mirror and use a hand mirror to view behind you. -Sit down and check your legs and feet. Keep a log of any spots or new freckles. Note their color, size and location. Congenital moles can go much deeper than what you see on the surface, sometimes requiring more intense surgery. It’s very important that changes in these moles are detected early and examined by a doctor. They may elect to map it (measure its size over a period of time) to document changes before intervention. Skin checks can detect much more than moles, so they should be done on all members of your family (no matter the age.) We are currently watching a hemangioma on Anna. She was born with it, and it’s getting smaller but we continue to map it. She was also born with a mark around her eye that has lightened, then disappeared with time. Jacen and Arielle have been free of marks, but skin checks have revealed eczema and other conditions over the years. Nothing but good can come from examining and documenting! I kept an eye on my husband’s mole for 7 years before he finally had his PCP take a look. It only took one visit with a dermatologist to decide it needed to come off, and I can only imagine what would have happened if we continued to wait. I’ve hated that thing since the first day I laid eyes on it, and I’m happy to see it go. Today we are celebrating mole removal day, and being thankful for the health and happiness of our family. Stay vigilant, stay safe, stay healthy. Free Kate and The Kids Swag! February 26, 2019 by Kate and the Kids1 Comment on Free Kate and The Kids Swag! Anyone who joins our e-mail list this week will receive free Kate and the Kids items! We have tumblers, mugs, key chains, snack containers and more. Just e-mail your mailing address to katefasci@gmail.com ! You’ll be added to the e-mail list, and your item will be sent out this weekend! 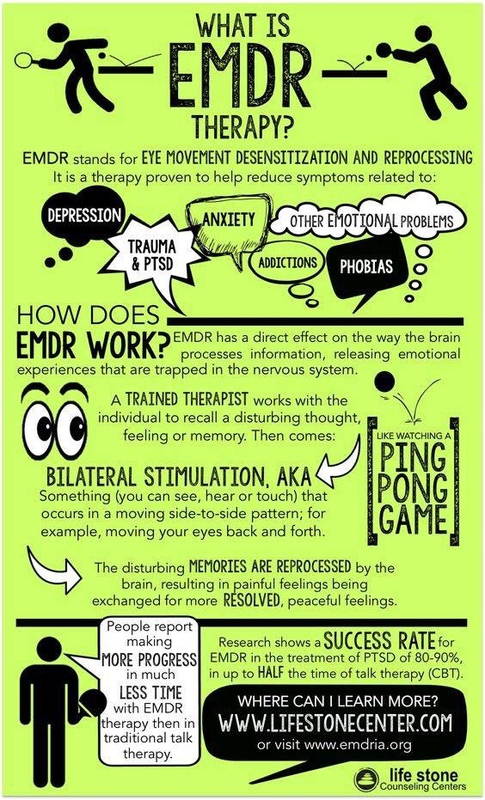 I’ve had a lot of family, friends and followers ask for more information on my EMDR therapy. I found this on Facebook today, and thought it perfectly summed up the practice. I hope it clears some things up! I encourage anyone with PTSD to pursue this treatment, it has worked wonders for me. The most relatable wedding vows I’ve ever heard. February 25, 2019 February 25, 2019 by Kate and the KidsLeave a Comment on The most relatable wedding vows I’ve ever heard. Last night our little family attended my cousin’s wedding. The happy couple tailored their wedding to their unique style, and almost everything was unconventional. The one thing that really stood out to me were the vows they recited. They were unlike any I’d ever heard before, but something all of us live everyday. I quote these loosely, as I was too emotional to remember them word for word. I’ve heard a lot of sugary-sweet wedding vows. I’ve heard funny ones, I’ve heard very personal ones. These were by far the most honest, real, raw vows I had ever heard, and are something every relationship can relate to. I could say these words to anyone I love- my husband, sister, mother, even children. The ones we love most are often the ones who see us at our worst, but facing challenges with the best intentions will set us up for the most realistic version of success. Of all times to hear these vows, they came at the tail end of our vacation. They came after a long road trip in a packed minivan, and cramming six people in one hotel room for four nights. After sharing one hotel with our extended family, and running into people we knew everywhere. Trust me, their words hit home. Family can be annoying, stressful and frustrating- but it isn’t our intent. At the end of all of it, we love each other immensely. I will carry their words with me, and keep in mind that people make mistakes. Forgiveness is a huge part of every relationship. When you really love someone, you must try to be patient if they explode some intense feelings in moments of weakness, but trust that their intention is not to hurt you. Their vows came to me at a time when I really needed this reminder. I hope they help you as much as they helped our family. Lets talk quantum physics and health. February 23, 2019 February 25, 2019 by Kate and the Kids1 Comment on Lets talk quantum physics and health. Vacationing in New Hampshire has gifted me a ton of down time to get reading. I feel like I never have time to sit down and focus, but I’ve plowed through a book per day since leaving home. Yesterday I read about chakras. When I picked up the book, I had little to no understanding of what they were. I have appreciation for holistic medicine and healing practices within reason, but I’m always searching for the scientific proof. Hearing that chakras dealt with energy, I assumed it was an intangible spiritual source. Once I cracked the book and started reading about chakras on a molecular level as based in quantum physics, I definitely had my interest peaked. I had a hard time putting the book down, and read it cover to cover while my kids swam in the hotel pool. So, a quick overview: there are seven chakras that deal with energy in the body. Much like layers of tissue interconnect to make your physical body, layers of energy connect and flow too. Energy comes from the electrical impulses generated by the neurons in atoms. When energy in any given chakra is blocked from being part of the interconnected flow, physical and emotional repercussions occur. I am in absolutely no way an expert on this- I picked up my first book yesterday and continued researching on the internet. Of the seven, the solar plexus chakra really struck a chord with me. This chakra is located in your abdomen about two finger widths above your belly button. This chakra corresponds with self confidence and self worth. When this chakra is out of harmony, we feel driven to keep up appearances and strive for prestige to hide that we do not respect ourselves. Sometimes, even hate ourselves. Physically this often manifests in stomach issues, eating disordered and fatigue. Emotionally it causes issues with self esteem, trust, responsibility for making decisions and sensitivity to criticism. The chakra is often blocked by repressed anger and issues with control and power. Reading through this chapter, every line caused aching in my stomach and chest. I struggled for so long with the inability to explain how I was feeling, feeling alone, dealing with the physical pain- everything. Everything hit me hard. I never knew others felt this way, let alone wrote books about it or practiced healing it on a global scale. It was the ease of being accepted, but also the heartbreak that these awful feeling effect more than just me. One of my favorite things in the world is learning new words and phrases. In this case, I feel like I’ve gained a huge communication tool that will help me express and identify my feelings. As we know, acknowledging a problem is step one in fixing the issue. I’m not capable of healing myself. I need the support of my family and friends, guidance from my therapist, supervision from my medical doctors, and tons of research on all of the options available to me. Not very long ago, I had a friend who took his own life. I think about it everyday, and constantly wonder what could have been done differently. What if he had these words and phrases to communicate his feelings? What if he had support, the right kind of help, knowledge, hope? I’ve been in really dark, really low places. I’ve had the thought that people would be better off without me. I’m not putting up with those thoughts anymore. I’ve seen the hurt suicide causes as a ripple effect, and I would do anything to prevent my children from feeling that kind of hurt. My family keeps me driven to succeed, to be healthy. I want the best for them, and I’m really starting to believe that their best life includes having me in it. I want to have a healthy body, to play and be active with them. I want to have a healthy mind where I can process issues in an effective and productive way in order to provide for them. I want to be spiritually healthy, where I can spread positivity and bring my children joy in mindful moments. These desires are what really drove my interest in researching chakras. Since all energy is connected, each healthy goal depends on the success of the others. Health is work, health is actively making better decisions, health is being educated. This is just a start, there’s so much more to improve on. Success is about small steps every day. I challenge you to learn one new thing today, whether its researching an interest online or picking up a book. If you’re at a loss, look up the 7 chakras- see which ones speak to you. February 22, 2019 February 25, 2019 by Kate and the KidsLeave a Comment on Sixty to eighty thousand. Humans have between 60,000 and 80,000 thoughts a day. For a long time, most of my thoughts were self degrading, negative, terrible things. Learning to change those thoughts is a very long, very work intensive process, but it’s the key to living a whole-healthy life. Buddhists have a phrase they use- “second arrow.” It basically means that when a person makes a mistake, it’s bad enough. When they continue beating themselves up for it, they lodge a second arrow into their heart. Living with a brain of negativity made my heart more of a pin cushion filled with millions of arrows. EMDR (eye movement desensitization and reprocessing) has helped me release a lot of the hostility I held for myself, but new insecurities pop up daily. One hour of weekly EMDR with my therapist can not undo years of hurt plus the daily bad thoughts. This week I’m on vacation with my family, and I’m determined not to let my arrows bring down my time with my family. We are making so many amazing memories, we’ve had so many laughs. I’m not letting this time be tainted by my own negativity. My initial reaction while on vacation is to think about “what will our pictures look like?” I attempt to micromanage what my children wear, how they act, where we go, and of course my own appearance. It puts so much stress on everyone, and results in volatile emotional breakdowns when things don’t meet my expectations . This is the first trip we’ve taken since being diagnosed officially with OCD. After being diagnosed, I was able to get the correct treatment and medication, and spend a whole lot of time trying to control my symptoms with EMDR. We are at the end of day 2 of vacation, and there have been zero fights, zero tears. I feel like I finally have a handle on those negative thoughts. I preach a lot about mindfulness, which to some sounds like a hippy dippy yoga term. I used to think the same way. Getting educated on what mindfulness actually is has changed my mind completely. Today we took the kids sledding. In the past my thought cloud would have been consumed about the way we looked, making sure everyone was smiling, being preoccupied about good pictures, being uptight and uncomfortable. Today I was able to focus on just what I was doing- sledding. Minute by minute I thought only about the moment I was in. I didn’t think about the future pictures, I didn’t think about my insecurities from the past. I took photos as they happened instead of forcing them. I was part of the family, not an outsider watching them have fun. It was the best vacation day we’ve had in years. We have been forced into a time where multi tasking is expected to be a necessity. I specifically remember in high school, being told we would need to be able to seamlessly do multiple tasks to be successful. Most job postings even list multitasking as a position requirement. In our “down time” we are usually watching tv and scrolling our phone. Multitasking has taken over, and has trained our brains to take on too much at once. It paves the way for multiple thought tunnels, and we feel the need to fill all the tunnels at once. This makes mindfulness incredibly difficult. I tend to picture this as the train map at the T-station. We’ve been trained to put a thought on every track of the map. Soon we realize the trains we have put on are our anxieties, sadness, insecurities and negativities. We are multitasking our thoughts. Mindfulness is focusing on just one line. Sledding was my redline today. Staying on one track brought me to happiness. In the past I would have tried to process all the lines at once, getting overwhelmed and confused. Staying on one line, keeping my mind zeroed in on one thing- that’s mindfulness. It’s appreciation for the moment we are in, and the effort of enjoying it to the fullest. The more I practice mindfulness, the more I notice the positivity in my life. Focusing on our activity today put my body issues and depression on the back burner. I spent more time being happy than being hit with second arrows. We only get 60-80 thousand thoughts in a day. Let’s work on making more of them happy thoughts!